Imagine a country consisting of steep rocky ridges and forested with thick stands of pine, spruce, poplar, and birch. Mighty tamaracks and cedars guard hidden marshy areas. This land is home to many big game species, including whitetail deer, moose, black bear, and the elusive timber wolf. This is the Canadian Shield. This is our back yard. 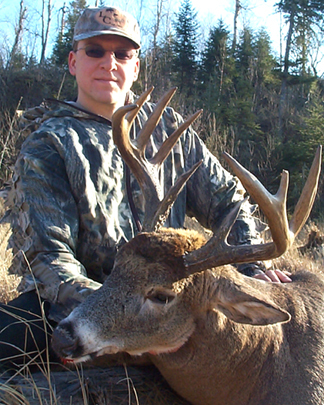 The life of a Canadian Shield whitetail deer is challenging. These animals face harsh winters, and are pushed heavily over difficult terrain by numerous natural predators. In spite of these conditions the whitetail has flourished here. 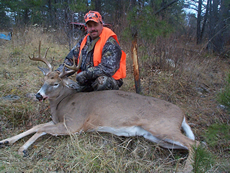 Not only are deer numerous, but as a result of the harsh conditions and terrain, they are very sturdy. 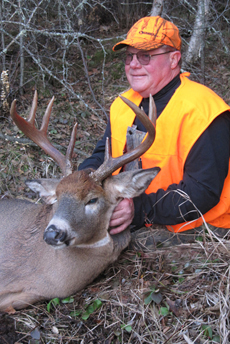 In preparing the deer to cope with their environment, nature has created some of the largest bodied animals to be found anywhere. 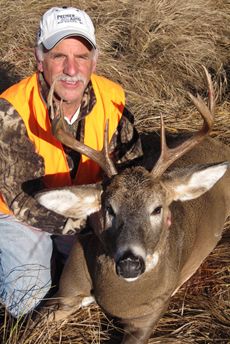 Three hundred pound whitetail bucks are not uncommon here. These are the conditions for your hunt. The hunt of a lifetime. 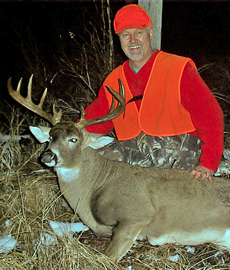 As challenging as the conditions are for the deer, they are more so for the hunter. 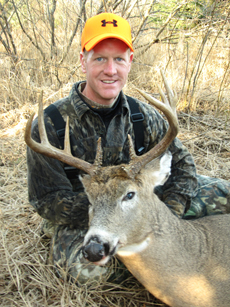 Vast wilderness areas covered with thick forests and swamps provide shelter, sustenance, and security for the whitetail. For true hunting success, a hunter must be prepared to venture into the heart of this country. Your Larsson's Camp guides will take you there. 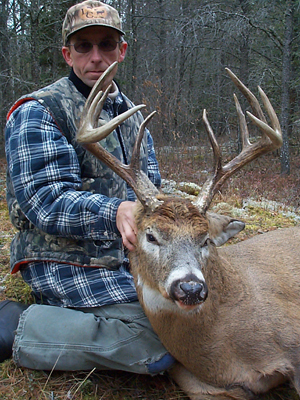 Northwestern Ontario has some incredible whitetail habitat. If there is any difficulty at all, it is in how MUCH land there actually is to hunt, and how little road access there is to many areas. There is little doubt that there are world record animals here, when you compare the amount of prime deer habitat to any other Canadian province. Again, the difficulty is actually getting to the deer. The terrain here is rough, and the vegetation is dense. Hunting areas are often inaccessible, except by foot. The deer browse on multiple types of naturally occurring food sources that can be found almost anywhere, so hunting food source is not an option, and baiting is not permitted. We hunt travel routes and funnels, doe pockets, and areas where we are targeting a particular buck we have seen on more than one occasion. We do a great amount of scouting, and often get our hunters into areas where they will simply not see another hunter. Many deer in these areas die of old age having never seen a human being, and these are the ones we are after. We utilize mainly ground blinds constructed from deadfall, but also occasionally ladder type tree stands and commercial pop-up blinds. We do not road hunt, or hunt clear cuts. the idea being to see deer, not other hunters. We do not hunt by stalking, or by making drives. 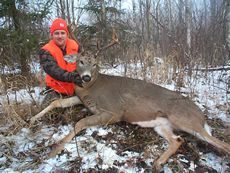 Deer hunting in Northwestern Ontario can be tough, so the hunter must enjoy the hunt as much as the kill. We have an excellent deer population (resident hunters are allowed 7 tags each), but there is so much prime habitat that you may only see a few deer in a day. However, one of those few could easily be the Ontario "brute" you are looking for. 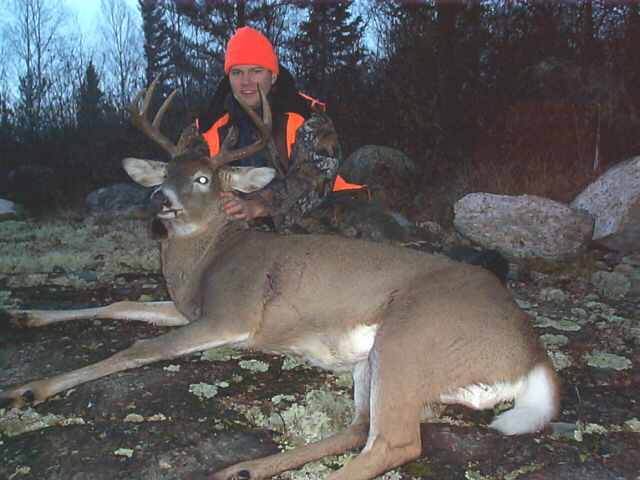 So the bottom line is that a NW Ontario hunt is best suited to experienced, patient hunters who simply enjoy the hunt. Our hunters are always amazed at the number and size of the scrapes, rubs and tracks that we show them. We simply have a LOT of big deer here. 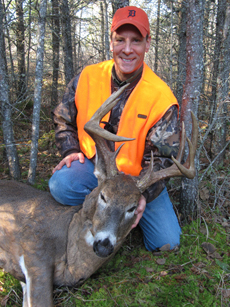 Our guests are also amazed at the physical size of the deer here, not just rack size. 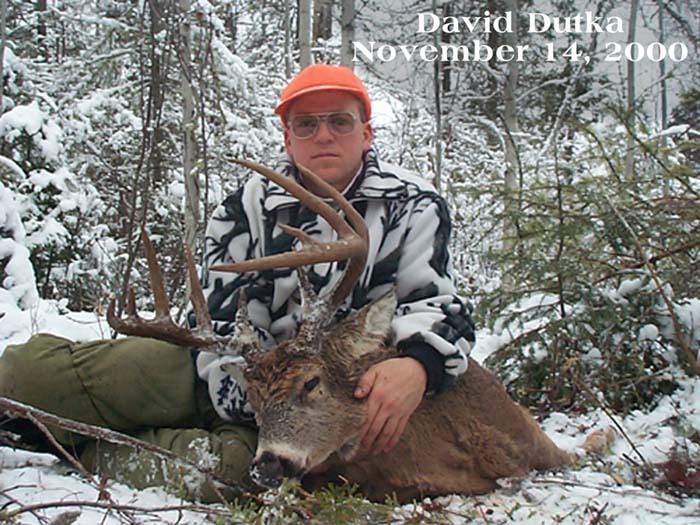 From does to spikes to mature bucks, they are all full bodied animals. 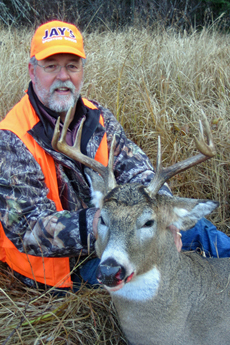 Of course, to get on the biggest of the bucks requires patience and some good quality time in the field. If you are looking for a 130 to 160 class animal your chances are excellent, as they are common here. There are many 170 to 200+ class animals here as well, but these take the utmost in cunning, patience and timing to see. 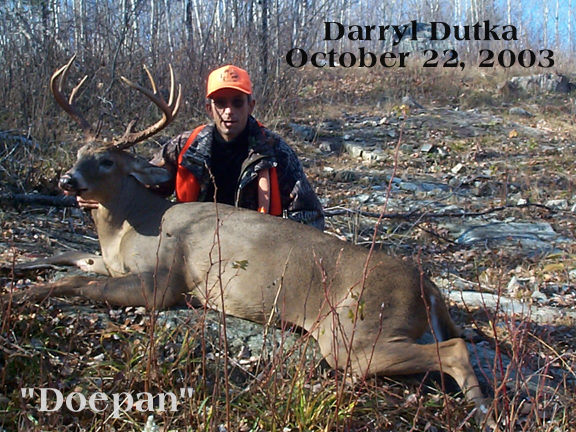 Every season without fail there are huge animals like that taken somewhere in the NW Ontario region. Of course, hunting is hunting, and there are no fences or pens here. Just millions of acres of a buck's back yard. We feel that successful hunting is 50% scouting, 30% technique, patience, and time, and 20% sheer luck,or being in the right location at the right time. 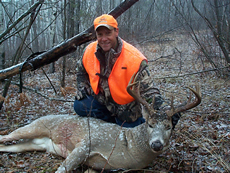 As your outfitter we take care of the scouting you would do if you lived here year round. We also give you tips on the techniques that we have found work best in the areas you will be hunting. This leaves you free to fully and confidently enjoy the time you spend in the field while on your hunting vacation with us. Your guided hunt package includes comfortable accommodations (cabin or motel unit), as well as excellent meals in our on site Bar & Grill. It's a great way to and an enjoyable day spent in the field. 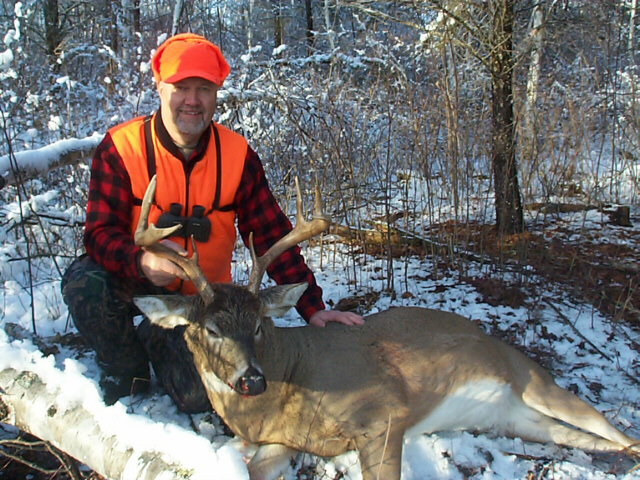 Our guides have been avid hunters for many years, and always treat our guests exactly as they themselves would want to be treated if they were on a guided hunt. 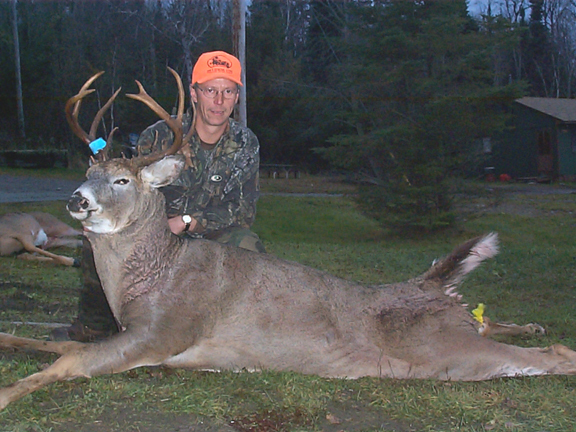 And when you kneel beside your trophy, holding its head high for a digital photo, you will be capturing a memory and feeling of a lifetime, one that can only come from a trophy whitetail hunt in Northwestern Ontario's rugged Canadian Shield. Season dates: Second Saturday in October through November 15th. Hunt Price: US$2150 per hunter. 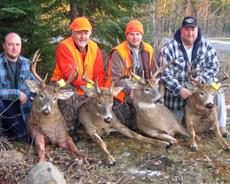 IMPORTANT: You must bring a hunting license in your name from your home state in order to purchase an Ontario hunting license. The license should be an old one that you no longer require, as you will need to surrender it to the issuer here. It must be an original license (no photocopies). If you do not bring this license, you will NOT be able to purchase your deer license here.